On July 3, 2013, President Mohammed Morsi of Egypt was removed from office, having been pushed out by the largest popular uprising in modern history. Tens of millions of Egyptians were in the streets marching throughout the country. To explore the fac tors contributing to the overthrow of Egypt’s first democratically elected president, I interviewed M. Saad, a long-time Egyptian activist, for ASR. 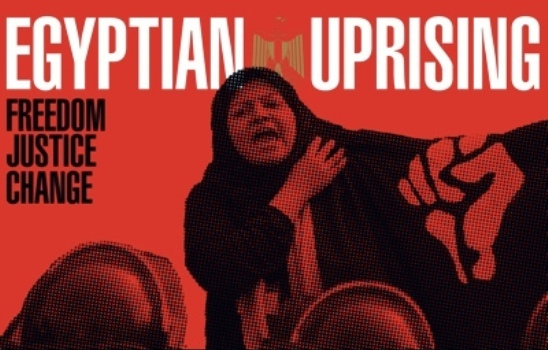 The current Egyptian popular uprising began at Tahrir Square in Cairo. Much as in other countries, including other Arabic-speaking countries and the U.S., large groups erupted onto the streets through -out the nation. What are the primary motivations for the uprising? Are the motivations directed toward universal human rights, narrow party politics, economic, or religious? The main slogan of our revolution on the 25th of January 2011 was: “Bread, Freedom, Human Dignity, Social Equality,” but let me tell you every person had his reasons to go out and ask Mubarak to step down – religious, economic, human rights. It was marvelous to gather in one place, Tahrir Square, to ask for our rights. People were like we are FED UP! as we were ruled by a repressive gang, “Mubarak’s gang,” who used to own all the tools that makes people remain silent about all the corruption going on around them. The neoliberal “austerity” budgets of Europe, the U.S., Turkey, and Brazil attacked both public spaces and public services. Has privatizing public spaces such as parks, roads, bridges, and buildings, as well as privatization of public services such as transportation and schools been a concern in Egypt? No, but it was about to happen with Morsi’s regime. The education here in Egypt is different: public schools are cheap but students cannot even write their names. It costs a fortune to be well educated in private schools as there is no education in the public schools. What part has organized labor played in the uprising? Are the economic concerns limited to wages and working conditions? In the U.S., the Occupy movement was concerned with Wall Street bank bailouts following the economic collapse of 2009. Are any serious challenges being made to the capitalist system? The revolution started since 2010, after the police killed a young man in Alexandria after torturing him because he used to post videos about how police officers are torturing people at the police stations. The forensic report for Khaled Said, “the young man of Alexandria,” said that he swallowed a packet of marijuana that asphyxiated him. It enraged between young people, killing a young man and falsifying the report to get the regime out of it! There were many other reasons like poverty, unemployment and repression. The big demonstrations started in the streets after the explosion of a church in Alexandria “New Year’s Eve 2011”; 42 were killed since 2-1-1011 the rage has started. The state has used the expected police violence to suppress dissent. Are the police independent of the Egyptian army? The police in Egypt needs to learn a lot about human rights, and rehabilitation. The army is not used to dealing with civilians. Both are so severe when it comes to repressing people. They are ostensibly independent from each other. President Morsi has been removed from office. Are the goals to quickly call for new elections, to write a new constitution and then have new elections, or is there any movement to challenge the power of the army? That’s what “El Sisi,” the Egyptian minister of defense, said. But we will see in the next days what is going to happen. The Brotherhood will keep trying to make a mess in the country for the next few days. I am expecting more massacres to happen and catastrophes, just to put the new temporary president and the army in a critical situation. The Brotherhood is supported by Obama and the USA as they warranty the security of Israel. Are there any indications that the current Egyptian uprising will organize for collective self-management, or is the uprising too politically or religiously divided? The division will never happen in Egypt, no one is willing to see that. The multiplicity in Egypt will never change and nothing changed it, the real Egyptians were in the streets on the 30th of June. About self-management I think I give you a BIG YES! Does Egypt have visible and significant anarchist or libertarian socialist organizations, communist, democratic socialist, or otherwise anti-capitalist institutions? Anarchists… few and it is not accepted by the community because Anarchy sounds bad here: it sounds like a thug. The word Anarchy appeared only in 2011, but they exist – we also have the “Black block” and “black mask” groups. The left wing has existed in Egypt for a long time; they are doing great work in the streets for anti-capitalism. We have many communists here in Egypt, and socialists. The left parties are: The communist Egyptian party, The popular coalition party, Popular trend party. We have plenty of libertarian groups, the most active is “El Dostour,” so active and so effective in the streets. They are doing a lot for people and at the same time they are watching the system carefully. We are grateful for the revolution because it gave the chance for the youth to show their abilities in practice. The recent popular uprising may have been the largest in modern history and perhaps the largest ever. What should people outside Egyptwho are unfamiliar with Egyptian politics and history know? What is the universal lesson of Tahrir Square? I think people should seize what they believe in, they must run after their dreams. My great people fought almost since the existence ofEgypt: against injustice, many occupations, many dictators. Let me say this: fight like an Egyptian. Can you imagine that young people here are refusing to leave the country, they are making the future they are dreaming of in their own country, they are making a better future for new generations. My generation and the younger generations love this country more than life itself, they don’t fear death, they fight the regime, they are fighting for everybody’s rights: women, poor, old, handicapped, illiterate, homeless children, against repression of police or any authority. Everyone should learn not to be selfish and to think of others; they should learn not to give up even if everyone is against them. One day they will join them like what happened on the 30th. Like we always say: “We are the loud voice when everyone remains in silence.” We believe that the revolution is not an apple that falls when it is ripe. You have to make it fall. What should we know about Egyptian anarchist or libertarian organizations or publications? In Egypt there are about six newspapers belongs to the left wing, like Al Ahaly issued by Al tagamo’ party (National Progres-sive Unionist), also Al wefak al qawmi (The National Accord) newspaper issued by the National Accord Party. Also there is Al hewar al motamaden (the civilized discussion), a secular leftist paper. Finally there is Al-intisar (The Victory) issued by the com-munist party of Egypt, one of the oldest left parties in Egypt, founded in 1921, and refounded in 1975. Anarchism exists in Egypt as a way of thinking of many young people. The majority of revolutionaries belong to the left wing, those who are still in the streets calling for freedom. Next ›Pre-Paid Electricity Meters or Power to the People?